It took 760 bicycles stacked on top of each other to create this massive art structure. 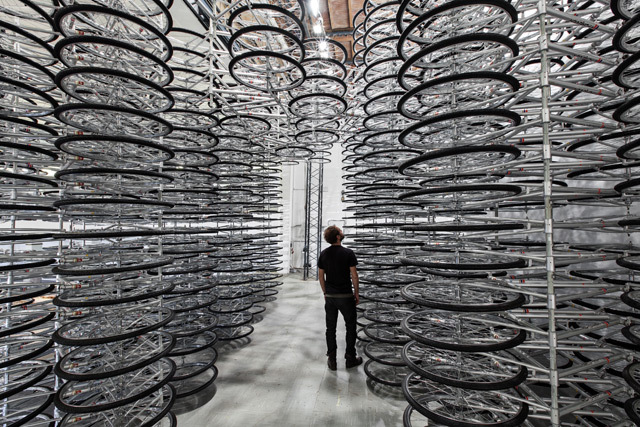 Chinese artist Ai Weiwei produced the stunning work of art as part of a solo exhibition, currently running in Italy. After seeing the same post on treehugger, i can again say the it’s not easy us to create this sort of art model created by Ai Weiwei. .!